"Big Hero 6" is right around the corner now, and Walt Disney Animation Studios is amping up the promotion. This is a special preview of a short that will play in front of "Big Hero 6." It is called "Feast" and is all about a hungry dog, apparently. Very few people outside of the Disney staff have seen the entire short outside of Disney yet, so there's not much to say. Hopefully it won't be just a generic thing about ultra-cute dogs, but that's what it looks like. It looks very artsy with the lighting, though it clearly is CGI (lighting can be very tough to get right with CGI, btw, and requires a lot of extra work). "Feast" is the brainchild of Disney animator Patrick Osborne - Disney solicits ideas for shorts from its animators, and getting yours chosen by John Lasseter is the closest thing to heaven for some back-bench animator - and inevitably it will be a contender for this year's Best Animated Short Oscar, just as was "Get a Horse," the short that ran before "Frozen" (it lost, though). 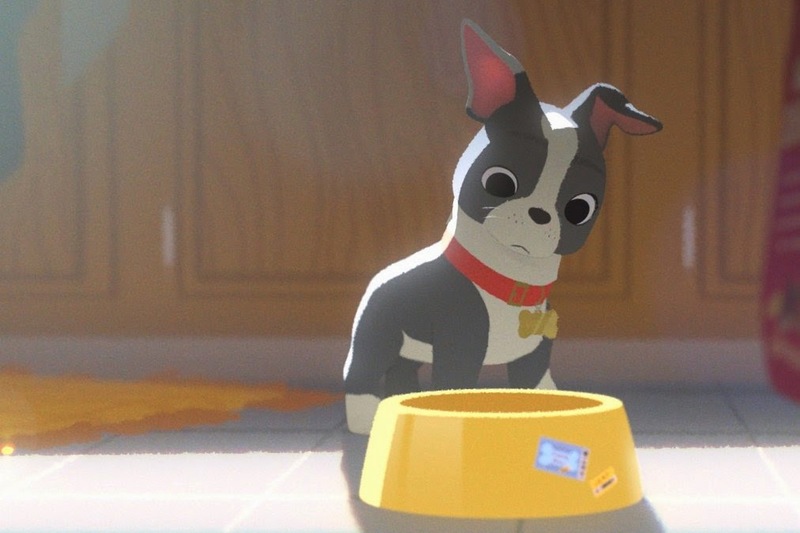 The short chronicles the life of a puppy named Winston, who watches his daily meals — and his master — evolve over time. I loved this short story =) It specially stroke me due to the personal moment I was living... But it's an amazing story beautifully told without words.